How to tackle the Brisbane Domestic Terminal with kids! How to tackle Brisbane International Terminal with kids – the smart way! How to cut your grocery bill in HALF by cooking the pantry! Hello! I’ve taken the hard work out of choosing the right lunch box for your child, as I have reviewed the top kid-friendly lunch boxes for 2016. The lunch boxes reviewed range in price from $12,00 all the way up to $80,00, so there is one for every budget. All of the lunch boxes are rubbish-free, so there is no need for extra packaging and waste. You can check out the reviews below by clicking on each image or link. Which ones have capability for freezer bricks to keep cool/cold? Which ones come in insulated bags? I have listed if an insulated bag is included with the lunch box. The ones that included the insulated bags have the option to buy matching ice packs. The yumbox importer for Australia felt the advertising budget would be best spent elsewhere then providing one Panino for review and didn’t want it to be included. I then chose not to include the original yumbox so no issues could arise from doing so. Shame the review has already had over 16,000 views in the first week so would have been great to be included. Thank you so much for the review! 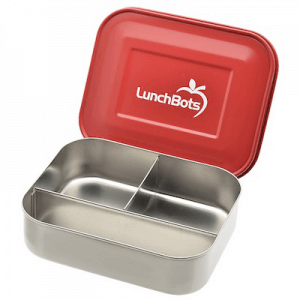 Trying to decide between the lunchbots and the laptop lunch boxes for my sons. Would 2 smaller lunchbots fit in a fridge to go bag? morning tea and lunch packed separate? I’m just not sure one looks big enough for a 6 and 8 year old..
or would you suggest going laptop lunch box? Im just worried about the annoyance of washing all the boxes and lids..
Any thoughts in the fridge to go?? 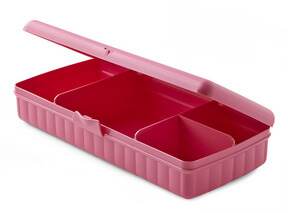 Great quality and keeps food cold for hours. We have been using them for years now and the bag still looks new. Hello there, I need a big leakproof lunchbox and had a bad experience with the Go Green, so am looking for an alternative. Does the Planetbox keep the food fresh over night in the fridge even though it is not leakproof as such? Do all the other non leak proof ones do so? Hi there, I have bought a Boon Cargo lunch box and struggling to find a insulated bag for it. Wonder if you have any recommendations? Many thanks. GET THE GOOD STUFF SENT STRAIGHT TO YOUR INBOX!